Gaining motivation when others at Bootcamp say, “you’re my inspiration”. Developing a desire to “get moving” in and out of Bootcamp – my bike tires saw more miles this year than the last four years combined. I had always considered myself a somewhat healthy person. I had stints of going to the gym a couple times a week but kept stopping because of the monotony and boredom of just lifting weights and doing the same thing over and over. One day, I looked at myself and realized why my clothes seemed to be shrinking, and it wasn’t because of the dryer. 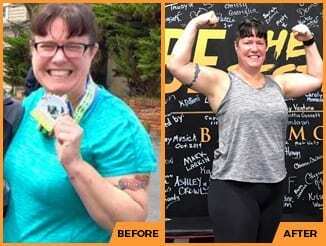 I started BeMore Boot Camp in an effort to push myself out of my rut, and I am so glad I did. Both the workouts and coaches are engaging and helpful and excellent all around. I am easily in the best shape of my life and I’m actually enjoying working out now! 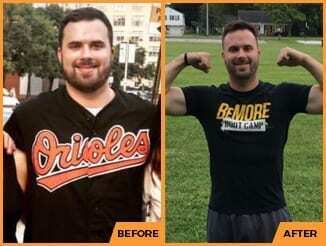 Since I started BeMORE boot camp, I have lost over 25 pounds of body fat while I have completely transformed my body! They gave me the resources, accountability and culture to be successful in my new journey.......and let me say I feel amazing! 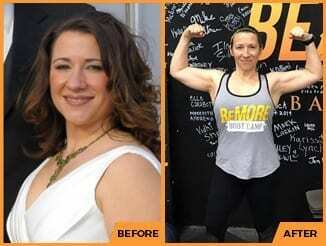 "I’VE LOST 30 LBS SINCE JOINING BEMORE BOOT CAMP AND I LOVE WORKING OUT AGAIN"
"THE BEST DECISION I HAVE EVER MADE!" I have lost over 25 lbs of fat and feeling better than ever! 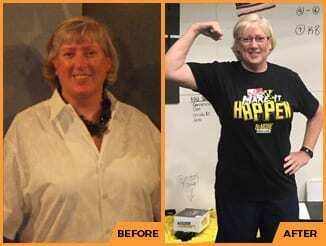 Today I am down over 15 lbs of fat, two inches off my waist, and am now a size 4/6....Total Body Transformation! Because of the hard work I put into building a healthier leaner body, I am more confident and I feel better than ever. Thank you to my brothers and sisters at BeMore Bootcamp for pushing me to be more, to work harder, to accept the challenge. I feel good, I’m eating way better and I’m down over 35 pounds of fat and 3 sizes. My husband and my kids are proud of me and I have to thank my brother, Rob, for helping me make my life better. 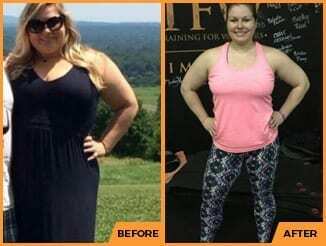 "IVE LOST OVER 15 LBS OF FAT AND 3 INCHES OFF MY WAIST IN 3 MONTHS!" 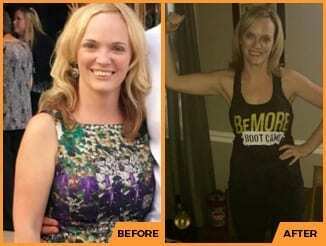 "IN THE LAST FOUR MONTHS, I'VE LOST OVER 20 LBS OF FAT AND COMPLETELY TRANSFORMED MY BODY." I've also become stronger and more confident both physically and mentally, and feel better than I have in years. "Over the months until my wedding day"
I was able to lose over 30 pounds of fat and my wedding dress had to be taken in 2 sizes. I can't wait to see what the coming months bring! "I am more confident, stronger and happier!" I've never understood my body more than I do today, I owe that to Casey & the BeMORE coaches, my awesome fit tribe and myself. To Be Continued.... 30 lbs lighter and able to run a mile without dying" ? 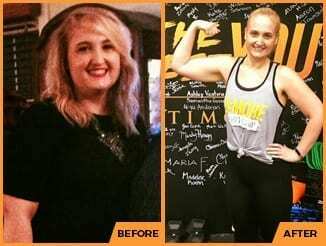 I joined BeMOREBoot Camp about 6 months ago, and it has been one of the best decisions I have made for myself. I had been stuck in a rut for a long time. 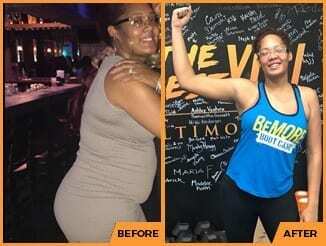 Thank you to BeMORE Boot Camp for continuing to push me to meet my goals! 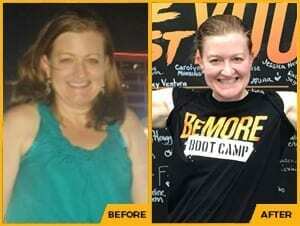 When I joined BeMORE Boot Camp, I was at my heaviest weight and led a fairly unhealthy lifestyle. I was 155 pounds, and a size 8. 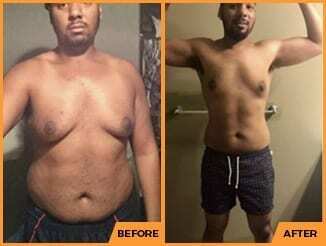 The BeMORE Boot Camp program has completely caused me to undergo a lifestyle change. I no longer look at working out as a chore. Fitness has become a regular part of my day and my lifestyle! 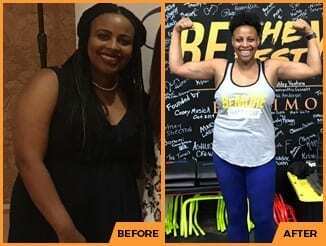 With motivation and support from BeMORE Boot Camp and the entire Camp family, I was able to lose 20 pounds of “fat” and get down to a size 2. Lets call it a complete body transformation!Thank you Boot Camp for pushing me, and encouraging me every single workout! 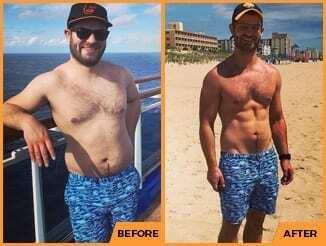 Thanks to BeMORE and the motivation of all the amazing Warriors around me, I have finally been able to start transforming my body. 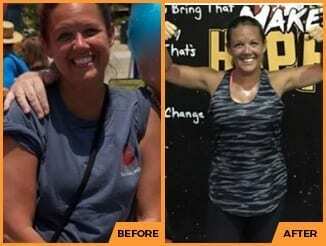 I’ve lost over 15 lbs of fat, developed a tighter core, increased my energy and added muscle definition through my entire body – something I always wanted, but never thought I’d have. I’ve never felt better, and am so excited to see how my body has started to tighten and become stronger. Looking in the mirror is not so scary anymore. Thanks BeMORE Boot Camp!